I have flashing grey screen. This is starting past 20-40 minutes from turn on steamVR. The first 20-40 minutes all works fine, and then gray flashes start, exactly when you look in a certain direction. Tried to cover the reflecting surfaces, tried to connect the base stations with a cable (with a change to A and B). nothing helps. The temperature of the processor and video card is normal. But that's why for some reason in any part of the game area and wherever I look, the first 20-40 minutes is all right! Can the helmet get warm and react poorly to the sensors? HTC Vive Grey screen help! I posted a topic on this yesterday (no solution, I just have the same problem) in the thread 'Overheating'. At least it's not just me. How long have you had your Vive? Please align your Base Stations so they are pointing at each other, and try it again. I see in your demo that they are not. Can you give the link to your topic? Do they really have to look at each other exactly? The error on my video is a maximum of 5 degrees. From the horizon they are turned down within 30-45 degrees. @Aidarpro, I responded to you in the other thread, but it occurs to me: is your headset exposed to direct sunlight? That can interfere with the infrared tracking. Hello, here and on another forums I read that that flashing might be because of sunlights , or something like this (mirrors, TV, gloss flour). But I didn't find the answer, why this things don't impact on vive for 30-40 min before the flashing start? The Environment didn't change. I have the same problem. It's been acting up for about a month. I've had it for 6 months. I *think* it was better before but it could be that I'm playing more games now that use more of my play area. Honestly not sure. I just know that at the beginning I didn't worry about this at all and now it is a constant problem and is ruining everything. I can't even defend the castle in theLab without a couple of whiteouts. Two days ago a guy talked me into trying the sync cable and it did not help. Like Aidarpro said, mine seems to get worse the longer I play. I'll move a base station, run room setup, then I'll be testing it out, thinking everything is cool, then as soon as I start getting "Immersed", BAM, I see white and its back to harsh reality. Like today I was just playing the Wave and I was really getting into exploring the universe and I got a flash, the some more, then by the time I gave up it's like it had its mind set on not letting me look in exactly the direction I need to look. We're working hard to try and figure out the solution to these issues. It is an extreme challenge given the variety of software, hardware, and environmental factors that our userbase has. 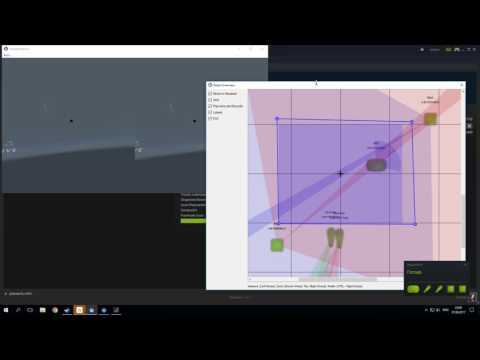 I personally suspect that the source of the bug is within the OpenVR/SteamVR pipeline and am currently trying to track down leads in regards to that. If that is the case, than only the team at Valve can work to fix it. It seems the common thread here is that the setups (including the environment) worked okay and only recently started acting funny which reinforces my theories about it being a software issue that masquerades as a hardware/environment issue. It's interesting that for many it appears to work for a while before quitting out. Since it is summer in the Northern Hemisphere I can understand it potentially be related to overheating but we didn't see this sort of thing last summer. Maybe this is a combination of variables and heat is related, as well as many other factors, like base stations alignment. I have very accurately aligned the base stations and now the problem takes longer to appear and it takes longer to make the thing unusable but in the end, it happens. What is a fact is that I had no problem last summer. I'm all for brainstorming. We might get lucky & I'll take a solution any way I can get it. Do we care about the ambient temp in the room? i.e. this time of year it is probably anywhere from high 70s F to mid 80s F in my room. But what about the IR? Would there still be abunch of IR coming off the hot aluminum sided walls sitting in the sun, eventhough the rest of the room is full of air conditioned air? Note: today it was raining all day and very little sunshine and I still had he problem. I had myself convinced for about ten minutes today that the problem went away if I turned the HMD upside down. I'd be interested to hear if this works for others. Oh yeah, I'm a big fat guy with long hair so a lot of times the HMD is pretty hot by the time I give up and sometimes I even have to pause and wipe out my eyes with a paper towel in mid-game. There can be other times when I will do 30-40 minutes in Audioshield and not have a bit of problem with the whiteouts. This is good notice! "why this things don't impact on vive for 30-40 min before the flashing start?" more over, why some times they don't impact for 1 or 2 hours before the flashing. I think everyone, who has this problem, face it only after several days, weeks or even months of using Vive and nothing was changing on environment. It's very interesting case. By the way, some people in the internet wrote, that after they made more strong cooler system for they cpu, the problem was solved. But I don't know, how the CPU's temperature can connect with this problem.